My first version of the Charm Patterns Rita Blouse by Gretchen Hirsch. I LOVE this sewing pattern! After making up this blouse for the first time my instant impression was WOW because the pattern was very easy to follow and I found the sizing to be perfect, I didn't need to make any changes. This fabric is quite nice but the reason I bought it was because it was on clearance and I just bought enough to test this pattern out so I wasn't too fussed on matching the stripes (though they don't look too bad). I actually really love this fabric for this blouse and it's good quality cotton so it turned being a very wearable garment in the end, I have worn it three or four times already. I cut size 4 as it was closest to my measurements and I can't get over how tailored it looks, it fits me so well and I think it's quite a flattering fit for me. I used about a metre or so of fabric, enough elastic for the neckline + arms and an invisible zip. I have put a lot of zips into dresses over the years but not specifically an invisible zip like this, especially a side zip on a blouse like this one. It went in really well and looked pretty good to me. I had no issues at all with this pattern and can only say good things about it, I love it so much that I already have bought more fabric to make multiple versions of it. 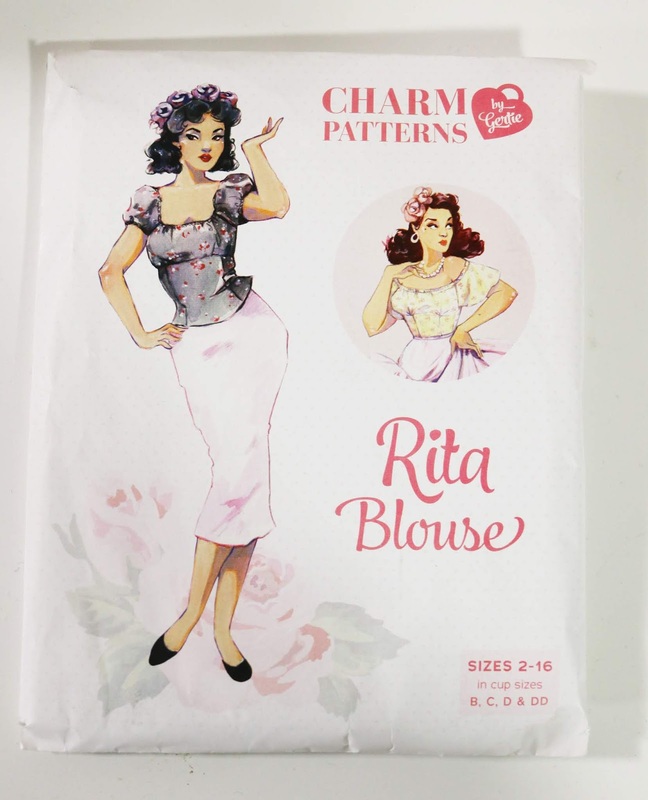 I have also seen some ladies online making long sleeve versions so that is on my list of Rita Blouses to sew. 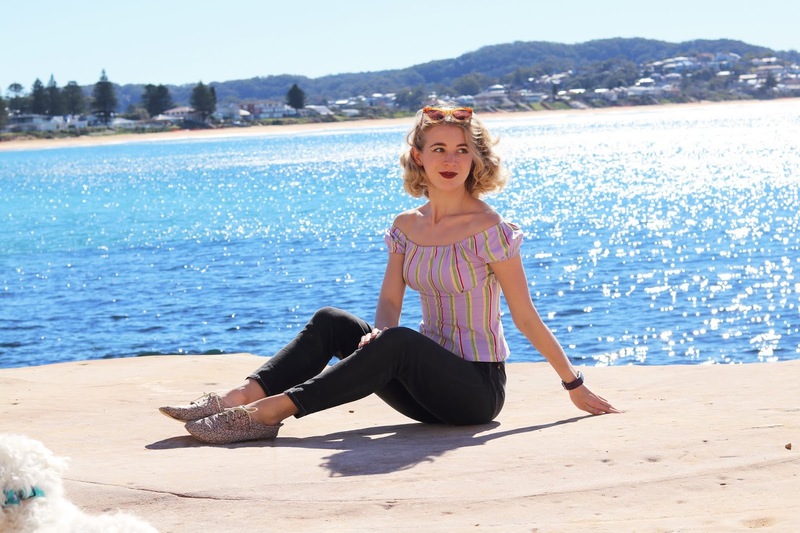 I also like that you can wear the sleeves up, push them down on your shoulders or even leave out the elastic in the arms for an almost flutter sleeve look. I'm a big fan of Gretchen Hirsch sewing books and Butterick patterns so I am very pleased and excited about her own line of patterns, Charm Patterns. I have her Lamour Dress pattern too, I am currently working on this dress for my friend and then finally I will make one for myself. I admit that I gave myself a pat on the back for this project, I'm so happy with it and it's always a good sign that you've made something well if you find yourself getting lots of wear out it. I love this blouse - and I have said before how you always look so good in jeans!